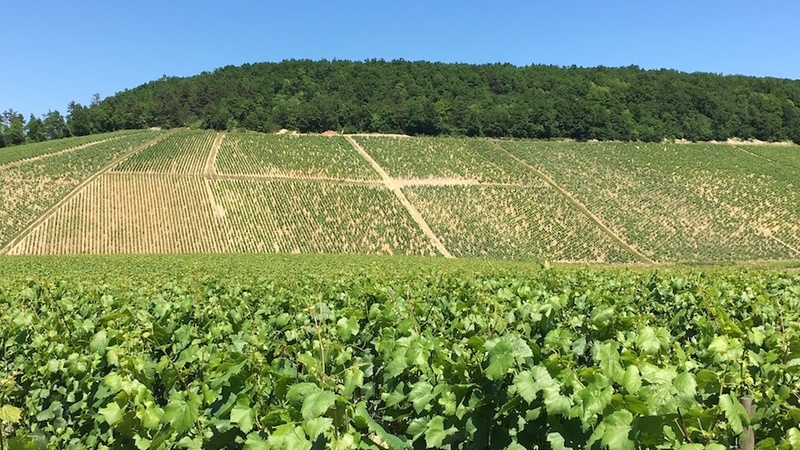 If you’re the sort of Chablis purist who believes that this traditionally cool northerly expression of Chardonnay must be painful to be good, you may have trouble working up much enthusiasm for the 2016s and 2015s. 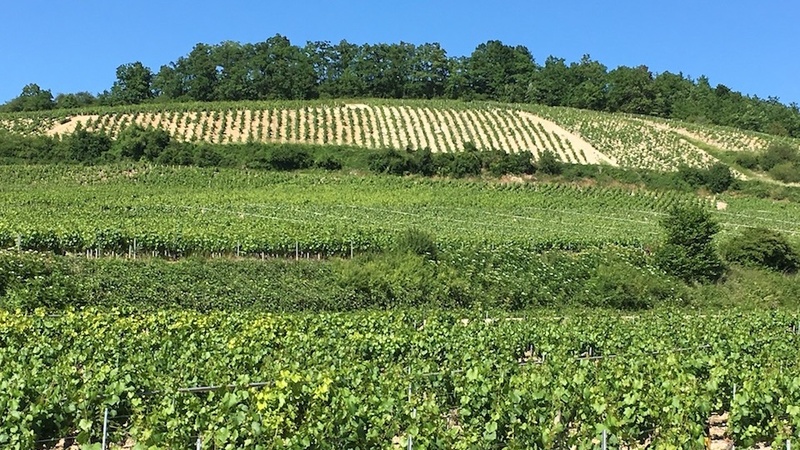 The 2016 growing season was a violent one, with frost, rain, hail, mildew and even grillure (i.e., grapes burned by sun) conspiring to cut Chablis production by 50% or more at many estates. The very warm, sun-drenched summer of 2015 produced grapes with often exaggerated potential alcohol and very low levels of malic acidity, with a hailstorm just before the harvest providing an additional challenge in several of the region’s top sites. 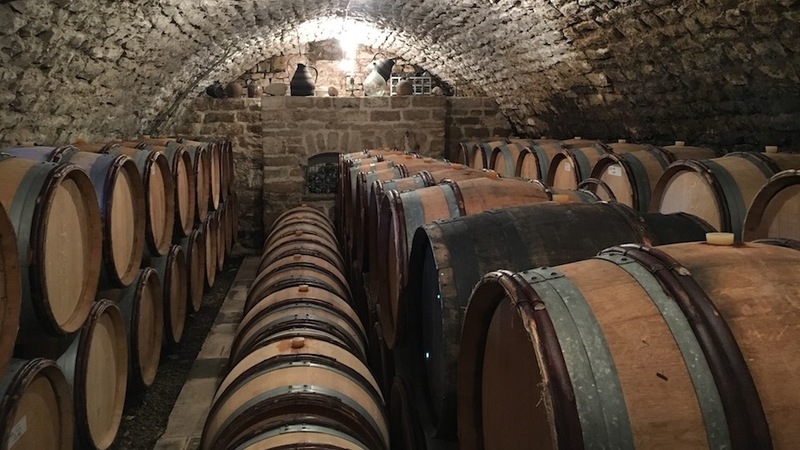 But if you pass on these two vintages, you’ll miss a lot of very good wines: ‘16s that are turning out to be more energetic than most producers would have predicted at harvest-time and extract-rich ‘15s with uncommon body and depth of fruit. Neither set of wines is forbidding in its youth, and both are likely to provide relatively early pleasure. Today the 2016s appear to be more transparent to their terroirs but the best ‘15s may surprise us with their vineyard specificity after they’ve had a chance to burn off some of their considerable baby fat. Following a very mild winter that featured one of the warmest December-through-February periods in more than a century, the budbreak took place early in 2016, in mid-April, but was followed by a very rainy spring. The vineyards were decimated by episodes of frost in late April (especially severe on the night of April 26/27) and two major hailstorms in May. A detailed map of the damage created by Domaine William Fèvre showed that the protected grand cru slope at the heart of the appellation largely escaped the violent weather, but most lower-lying village sites as well as parts of multiple premier crus suffered substantial crop losses. 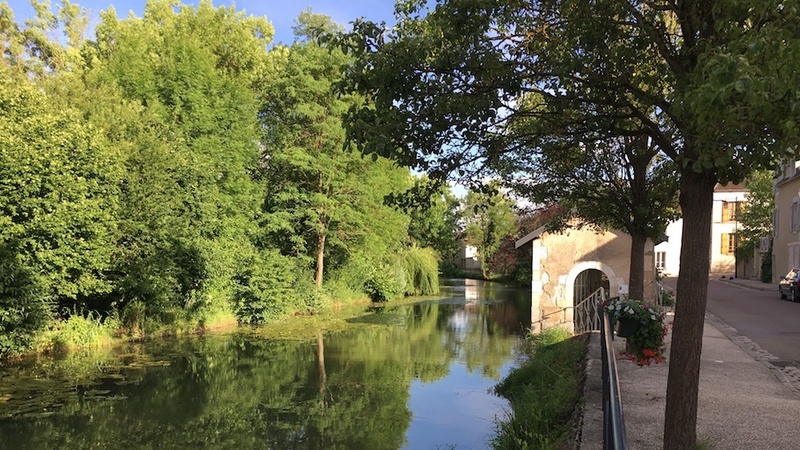 The late April frost wiped out a large area of vines in the eastern part of the appellation, centered around the towns of Fleys, Béru and Viviers, causing crop losses up to 100%, but also struck sites located not far from the Serein river on its left bank. May brought gloomy conditions and record precipitation (around eight inches of rain), with hail on the 13th causing substantial losses in the northern part of the appellation while the massive storm of May 27 wiped out the Préhy plateau and vines in Chichée and Courgis. Conditions remained overcast and cool well into June, triggering widespread mildew that required multiple and timely vineyard treatments throughout the month (growers began to see problems in May but had serious difficulties getting into their vineyards due to all the rainfall), and the flowering took place very late but fairly quickly under warm conditions beginning on about June 21, although some unaffected vineyards flowered earlier and carried higher potential crop levels. There was a serious heat spike in early July; then dry, warm weather settled in by the middle of the month and lasted well into September, with the second half of August especially hot, resulting in a blockage of maturity in some sites and grillure. Following three months with significantly fewer sunshine hours than the norm, July, August and September were all well above average. July witnessed just half of its average rainfall and August was even drier. September brought sunshine and higher-than-average temperatures too but conditions cooled and were more changeable for a week beginning September 12. Significant rainfall on the 15th and some additional precipitation over the next few days refreshed the vines and pushed the fruit to better ripeness levels, especially where the hot, dry conditions had blocked maturity in the grapes. But in many areas, rot began to take hold. 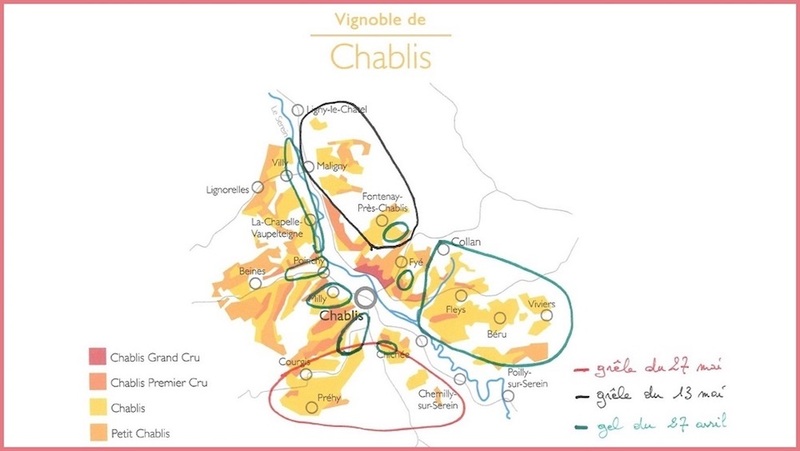 Most Chablis estates began harvesting between September 20 and 25 and picked quickly under mostly favorable conditions, as acidity levels in the grapes were beginning to fall and as rot was starting to spread. Yields were normally especially low in village parcels, if there was any fruit at all, while premier and grand crus touched by frost tended to yield 15 to 25 hectoliters per hectare. Vines that escaped frost and hail produced much healthier crop levels, in some cases close to normal. According to detailed data provided by the BIVB (Bureau Interprofessionnel des Vins de Bourgogne), average sugar levels in the grapes in 2016 were roughly similar to those of 2011, 2010 and 2009, but lower than 2012, 2013, 2014 and especially 2015 (in the past generation, only 2006 was riper than 2015, with average grape sugars actually a bit higher in ’15 than in 2003). Neither 2016 nor 2015 before it can be described as an archetypal Chablis vintage. Two thousand fourteen, on the other hand, was a classic vintage, at least by modern standards, with the cool, long growing season producing wines characterized by serious density of material, strong acidity and pronounced saline minerality yet rarely showing the early austerity and penetration of the top vintages of a generation ago. Still, most producers view 2016 as more typical of Chablis than the riper, sunnier 2015s (solaire is the word many growers used to describe this growing season) because the younger set of wines is more likely to show vibrant citrus elements and early mineral reduction, as well as a saline aspect, and the somewhat lighter body of these wines makes their mostly average acidity levels feel more obvious. Potential alcohol levels were average in 2016. Most winemakers chaptalized their wines at least lightly. The fermentations generally went well. A sizable percentage of estates bottled much of their production prior to the following harvest, but on my early-June visit to Chablis a number of growers who normally bottle later maintained that their ‘16s were benefiting from their élevage and should continue to gain in texture and density during their last months in barrels or tank (numerous growers on the Côte de Beaune expressed similar sentiments this spring). As on the Côte de Beaune, many 2015 Chablis, especially those that were not rushed into bottle, show a bit more shape and grip than they displayed from barrel and tank in the late spring of 2016. This is clearly an atypically rich crop of wines from a warm, sunny growing season, but the best wines have enough minerality and harmonious acidity to suggest that they will hold nicely; perhaps they will display clearer site specificity as they absorb some of their early baby fat. Purists will not consider these wines classic but the best of them are highly concentrated, pristine and mouthfilling. Owing to the early flowering and sunny summer, the harvest was projected to be very early, with most producers planning to begin bringing in their most precocious sites beginning as early as September 5 or 7. But a severe storm just after midnight on August 31/September 1 brought localized heavy rain and a swath of destructive hail that destroyed fruit in Montée de Tonnerre, Blanchots and the eastern portion of Les Clos and also touched a few premier crus on the other side of the river. Growers with vines in these crus had to advance their harvest dates – and scramble to find pickers – in order to bring this fruit in quickly, before it started to rot, with a few of them starting as early as Wednesday, September 2. Some of this fruit had not yet reached optimal ripeness, and as a result a number of wines lack a bit of body or show more herbal or even green-peppery character than they would otherwise have had. On the other hand, many of these early-picked wines display good energy and have turned out well, an indication that earlier picking may have been advantageous. The flip side of this scenario is that estates that hurried to bring in grapes affected by hail in some cases had to delay harvesting some of their other normally precocious parcels, which resulted in some very rich and more tropical wines with higher alcohol and lower acidity. So although 2015 overall is a year that produced very rich, solaire wines, there can be significant stylistic differences according to picking dates. I should also note that the choice of harvest dates was no less critical in 2016. Chablis has been a very popular category in recent years, in terms of both demand for vineyards by outsiders to the region, many of them based in the Côte d’Or, and strong demand for bottles by consumers around the world. Under such conditions, the sharply reduced crop in 2016 has caused hardships for many estates, not to mention for merchants who faced bulk prices that were almost twice as high in ’16 as in ’15. Today, there’s a serious shortage of good Chablis in the marketplace and prices are firm. In early June, several growers told me that they are struggling to allocate their small quantities among their regular clients and that they have virtually nothing to sell to new customers. Obviously, more frost damage during a very cold last week of April 2017, which affected some grand crus as well as the premier cru Fourchaume, has not helped matters. But this year’s flowering, which took place under ideal warm conditions in early June, was surprisingly healthy in light of the fact that the buds that became this year’s crop originated during last year’s flowering, which was severely curtailed by the violent weather. So at press time, yields in vineyards unaffected by frost in 2017 were expected to be close to normal, and the harvest will be another early one, likely to take place in the first half of September. But in Burgundy, anything can happen – and often does. 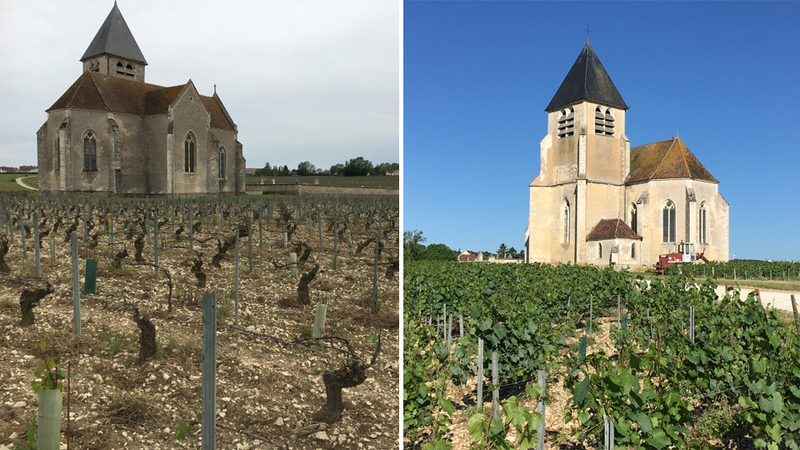 I tasted the overwhelming percentage of wines covered in this article with their producers in Chablis in early June, then followed up by sampling additional 2015s at home in New York City in July. As always, my projected peak drinking windows represent my educated guess as to when the wines will show at their best. Collectors with ideal cellar conditions and a special fondness for well-aged Chablis may wish to hold their bottles longer.